A USPS supervisor in East St Louis IL was sentenced yesterday to five years probation, including six months of house arrest for mail theft. Jane Johanna Emily, also known as Jane J. Moeller, pleaded guilty to the charges in April. Emily is apparently not the brightest criminal around- when she left the post office with a decoy package mailed by OIG investigators, and was stopped by agents, she told them that she was “working for postal inspectors to uncover suspicious packages”. Doesn’t say former postal supervisor,so that means she claims she has a drug habit, goes through EAP and management puts her back on the job. 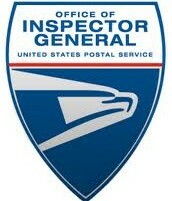 If the USPS REFUSES to prosecute “their own kind”, then “their own kind” will keep stealing. No incentive not to. The good ole’ boy/girl syndrome kicks in AGAIN….. It says she pled guilty and was sentenced so they DID PROSECUTE. Read the story. If she was a rank and file Clerk, Mailhandler, or Carrier she would have been fired on the spot but she is Management and the rules are different. I have 16 years with the Postal Service, 2 of those years I was a Stewart at a Postal Processing Plant. I have seen this happen alot. BS Every story about postal criminals on here is pretty much the same- they get convicted, they get probation, they get fired. If you know someone who was convicted of a felony and then got to keep his or her job, post the name and location so we can all check your story- it’s easy- a news story confirming the conviction, then you check the USPS salary database. This woman is still in the database because it only gets updated once a year, and she was just convicted. EAP doesn’t have anything to do with being convicted of a felony, and she’s beyond EAP now- any “treatment” she gets is at the discretion of her probation officer. She’s not the USPS’s problem any more. I stand by my post. At the Plant I work in most employees caught in criminal behavior have been fired however there are those in Management that game the system and are not held accountable.